After a flurry of transfer activity at the beginning of the month, things have gone pretty quiet at Finch Farm with the focus of the new Everton management team on assessing the credentials of the current playing squad rather than recruiting additional players to the ranks. Work has however continued behind the scenes, with a number of well-informed individuals confirming that Everton are still looking to sign a winger and central midfield player to complete the squad for the new season. Martinez has identified three potential wide players, all three offers pace and an eye for goal and all are of an age where the best years of their careers lie ahead. The players in question are Tom Ince, Scott Sinclair and as previously discussed on St Domingo’s, Victor Moses. Roberto Martinez likes to ensure his teams play with width, using the full breadth of the football pitch to stretch the opposition and to create space and opportunity for his forward players to take advantage of. Martinez also likes his wide players to be quick and very much in the model of Barcelona, will expect the wide players to work hard when they haven’t got the ball, placing the opposing full backs under pressure to win the ball back in dangerous areas of the pitch. The tenacious Callum McManaman made a huge impact at Wigan in the second half of last season, staring in both from the Quarter Final onwards as the Latics went on to win the FA Cup. McManaman, albeit raw and unpolished, optimises Martinez’ style of play, mixing hard work, commitment and flair, with pace and creativity. With Mirallas and the exciting Deulofeu on board, Martinez will be looking to provide further cover in the wide areas. It remains to seen whether Pienaar is used more centrally, or whether Martinez continues to utilise the linkup between the South African and Baines on the Everton left. Even so, he will want to ensure competition for each and every position and further additions will be welcomed. 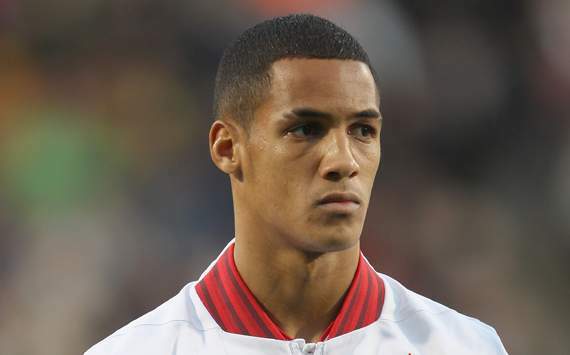 Tom Ince, despite his links with Liverpool is an exciting talent. His 18 league goals for Blackpool last season propelled him towards the Football League Young Player of the Year award and a number of clubs have enquired about his services in the last 12 months. Liverpool were close to re-signing their former Academy starlet in January, but failed to agree on a satisfactory price with the Seasiders. Ambitious Cardiff City did agree an £8 million transfer fee this summer, but failed to convince Ince to move to South Wales. Strong rumours persist that Everton are in talks with Blackpool over a deal for the son of former England international Paul Ince, with Everton looking to take advantage of Blackpool’s financial situation to negotiate a lower asking price. Scott Sinclair moved to Manchester City during August last year and struggled to make an impact as Roberto Mancini kept faith with the established David Silva and Samir Nasri. Sinclair, a product of the Chelsea Academy system, enjoyed a fantastic three years with Swansea and was integral in their promotion to the Premier League and then in establishing the team in the English top flight. In Swansea’s promotion season he bagged 19 league goals and followed that with 8 in his first full year as a Premier League player. Sinclair has played for Martinez previously, enjoying a loan spell at Wigan, while still a Chelsea player. Manchester City paid £6 million for his services last year, but an offer of £4 million should be enough to capture the England u21 international. Victor Moses is believed to be Martinez’ preferred option, but is also likely to be the most expensive. The Powerful Nigerian international struggled for regular game time at Chelsea following his move from Wigan, but still contributed 10 goals in all competitions during his debut season. Chelsea are keen for a permanent transfer at around the £8 million mark, with Everton and Martinez hoping to secure a season long loan deal. Let us know which of the three you would prefer to see at Goodison next season or whether you think Martinez should focus his resources elsewhere. Next Post Is Roberto better for Everton than Moyes? To be honest any of the three would greatly improve our options for the coming season. Tom Ince would represent the biggest gamble (£8m and no Prem experience), while Sinclair would be very good value at £4m. I don’t believe Moses is worth £8m +. Therefore it would be Sinclair for me! Sinclair made a big mistake chasing the Manc money and is no doubt desperate to get out of there and restart his career. He was very good at Swansea. Similarly, Moses was impressive at Wigan, but has only had a few chances to show that at Chelsea. Has done very well when given the chance. While Ince is good, he’s unproven at Prem level compared to the other two – and coupled with his price tag, would be a bigger risk. It seems we’ll be priced out of a move for McManaman (as well as McCarthy) at Wigan, so I’d be happy with either Sinclair or Moses. As always, it will come down to the best value for money.